The Antique Milgrain Solitaire Ring in White Gold is a classic setting designed to showcase the solitaire diamond of your choice. Featuring antique details and milgrain edging, the sophisticated designs decorate the band while focusing on the center stone. 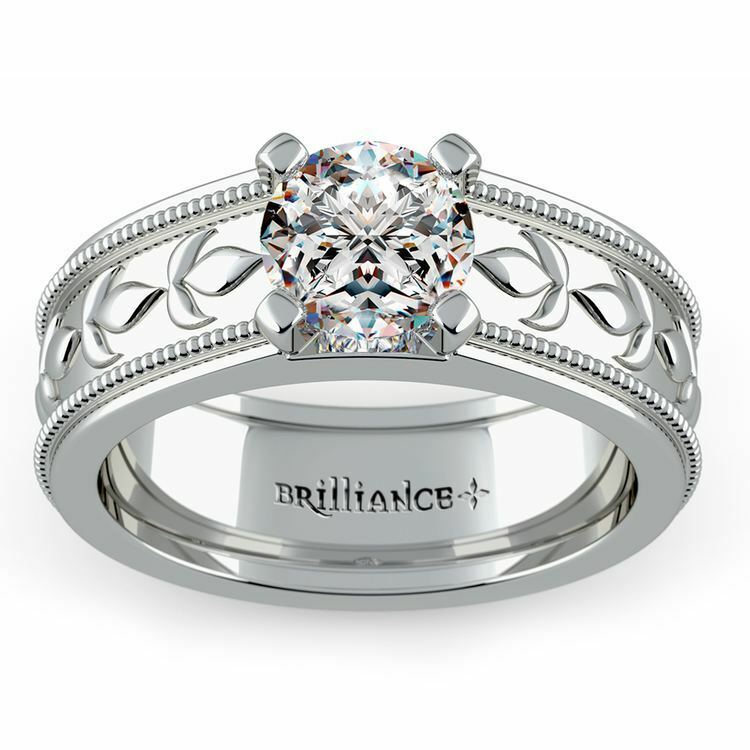 The four-prong setting allows light to shine through the diamond, while the low-profile design protects the stone. Available in your choice of 14- or 18-karat white gold, this setting perfectly embraces a round cut diamond, but can be custom designed to feature any shape or size of stone you desire. Like this engagement ring setting? Enjoy browsing our entire collection of solitaire rings and settings here: Solitaire Engagement Rings.